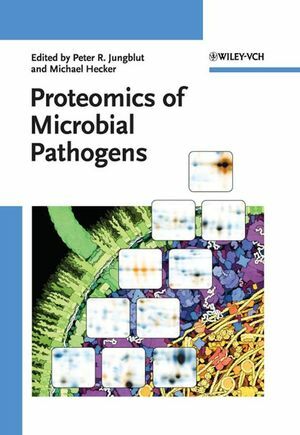 Containing proven, high-quality research articles selected from the popular Proteomics journal, this is a current overview of the latest research into the proteomics analysis of microbial pathogens as well as several review articles. Peter R. Jungblut is the head of the Department of Protein Analysis, as a core facility of the Max-Planck-Institute for Infection Biology in Berlin, Germany, coordinating all proteomics activities of the institute. By classical proteome analysis, his group generated a proteomic database with about 1500 identified proteins of microorganisms, eucaryotic cells and tissues. He has published more than 130 scientific articles on proteomics. Michael Hecker is a biologist and became Professor in 1986 at the Ernst-Moritz-Arnd University in Greifswald, where he is also director of the Department for Microbial Physiology and Molecular Biology. He is a member of the Leopoldina, a fellow of the American Academy of Microbiology, as well as member of numerous scientific societies and academic bodies. In 2005 he was elected as the Vice Chair of the International Union of Microbiological Societies. He has published more than 300 scientific articles. "...As it stands the book is a useful collection of research papers and reviews on microbial proteomics..."